Research collected by the Food Standards Agency in 2017 found that 145 meat products out of 665 were partly or completely made up of unspecified meat. The BBC made a Freedom of Information (FOI) request to the Food Standards Agency to find this out. According to the FSA, who tested samples from 487 businesses, a number of the samples contained the DNA of up to four animals. Some of these animals were not mentioned on the labels at all. Out of the products tested for the FSA study, 75 of the contaminated samples came from retailers (including 3 supermarkets), 50 were from restaurants and 22 were from food processing or manufacturing plants. 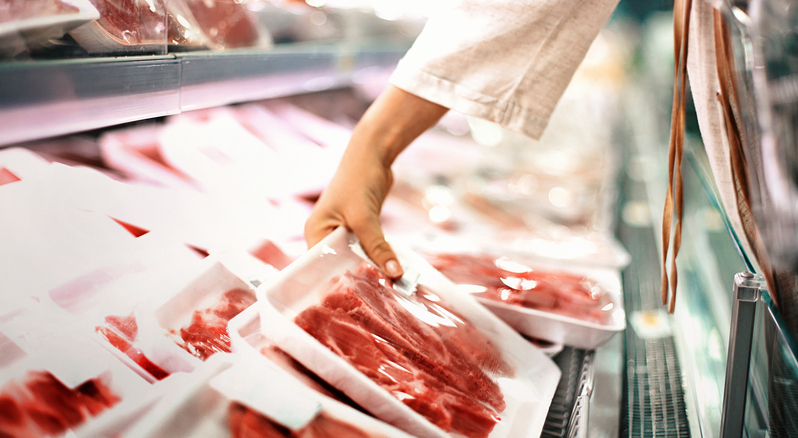 Meat labelled as lamb proved the most likely to be contaminated. Cow DNA was the most common contaminant. The most commonly mislabelled product was mincemeat. This lack of transparency in the meat industry has shocked consumers in much the same way that the horsemeat scandal did five years ago. Thankfully, none of the 2017 samples contained horsemeat. Find out more about how the data was collected and analysed at www.bbc.co.uk/news/uk-45371852.